Got a Lego fan on your holiday list this season? There’s still time to get him or her this fun book – the Lego Adventure Book! Its a book full of ideas for what to build with your Legos. Step by step colored photos make building various suggested models really easy! 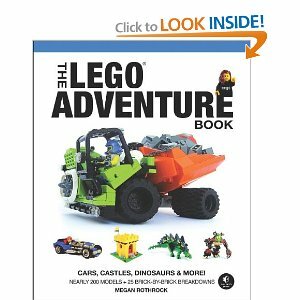 Get the Lego Adventure Book on Amazon for $16.47 (normally $24.95) and you have a couple more days to order with two-day shipping to get it in time! homemade electric car for a fraction of the cost. pollute the atmosphere the better.